Forensic psychologists are often called upon to conduct a risk (or threat) assessment to predict the likelihood that an individual might act violently in the future. Often these assessments are conducted on individuals that are involved in the legal, justice, or correctional systems. They are also conducted on individuals that may pose a risk or have acted out violently in a workplace or school setting. Assessments can evaluate the risk an individual poses for committing general violence, spousal violence, sexual violence, workplace violence, school violence, murder, elder abuse, stalking, gang violence, or cultural violence. The role of the forensic psychologist in a risk assessment is to collect relevant information about an individual and their circumstances, and assess the information for the degree of risk. There are two general approaches to conducting risk assessments. An actuarial assessment involves providing a probabilistic estimate of violence risk in a specified time frame. A structured professional judgement approach involves applying clinical judgement based on research and clinical experience to assess the risk level (e.g., low, moderate, or high). There continues to be some debate on which approach has the most predictive validity. The information collected is reviewed to determine if certain static or dynamic risk factors are present. Static risk factors are information that do not change or change very little over time. Examples of static risk factors include childhood experiences (e.g., neglect, abuse, family environment), previous violence history, age, and personality structure. Dynamic risk factors are things that can change from day-to-day. Examples of dynamic risk factors include the degree of mental health, relationship status, and use of alcohol and substances. Static factors are stable increasing predictability versus dynamic factors which can change rapidly increasing unpredictability. Information Collection – Information about the individual’s history, current circumstances, violence history, and health are collected and reviewed for risk factors. Psychological Testing – Depending on the individual and situation testing of intelligence, achievement, personality, and psychopathy may be conducted. Triangulation of Information – Other information sources such as interviews with others that know the individual or file/record review are conducted. Multiple sources of information are used to triangulate and verify the information to create an accurate picture. 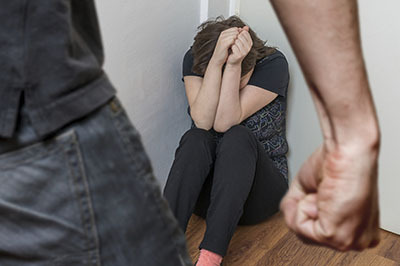 Research Review – Current research on the type of violence being assessed is reviewed to ensure the most up-to-date information on risk factors is applied. Risk Assessment – An actuarial or structured professional judgement assessment is conducted to determine the degree of risk the individual’s risk factors suggest. Report – A report is written to outline the information collected and the nature and degree of risk present. In some cases, the report may contain specific recommendations on how to manage the risk. Create Safe Space – Often violence occurs as a result of triggers and weapons being easily accessible. Creating a safe space includes removing weapons, keeping distance from potential victims, and changing the surrounding environment to improve mood and reduce stress. Treat Mental Illness – While most individuals with a mental illness are not violent, some mental illness can increase an individual’s risk to act impulsively or violently. It is important to treat mental illnesses for a multitude of reasons. Attend Offender Treatment – If an individual has committed a crime, there are often specific offender treatment programs. For example, most sexual offenders are required to attend a sexual offender treatment program. Resolve Trauma – There are strong links between trauma (e.g., childhood abuse and neglect) and the risk for violence, with the highest links between risk of violence and sexual abuse. Trauma therapy aims to lessen the impacts of trauma on current and future thoughts, emotions, and behaviours. Treat Alcohol and Substance Use – Alcohol and other substances have the effects of impairing problem solving and increasing disinhibition and impulsivity. By reducing or eliminating the abuse of alcohol or substances, an individual can increase the effectiveness of resolving situations that otherwise would have resulted in violence. Anger Management – Anger is a normal and healthy emotion most of the time. Some individuals struggle with the experience and expression of anger. Learning how to effectively manage anger can lessen the risk of violence. Increase Social Supports – Positive relationships with supportive family and friends has many benefits. Social supports can help reduce anxiety, stress, fatigue, and emotional distress. Social supports may also improve mood, self-image, the ability to cope with stress, and the feelings of control.